A new top end Chilean Cabernet is soon to hit the market – and this time it’s not from the celebrated vineyards of the Maipo, but Colchagua. Hailing from a high-elevation area called Puquillay Alto in Colchagua, the new wine will cost £40; contain just Cabernet Sauvignon, and will be released in the summer to promote the fine wine potential in this part of Chile. Made by Nicolas Bizzarri, who is head winemaker for Luis Felipe Edwards (LFE), the wine is the producer’s most expensive yet, and has been designed specifically to prove the quality attainable from the best sites in Colchagua, despite the fact that most top-end Chilean Cabs come from the free-draining terraces of the Maipo Alto. Bizzarri explained, “The company started with a Cabernet from Colchagua, but that was from the valleys, but today the majority of our Cabernet comes from the Piquillay mountains, where we started planting vineyards in 2005. 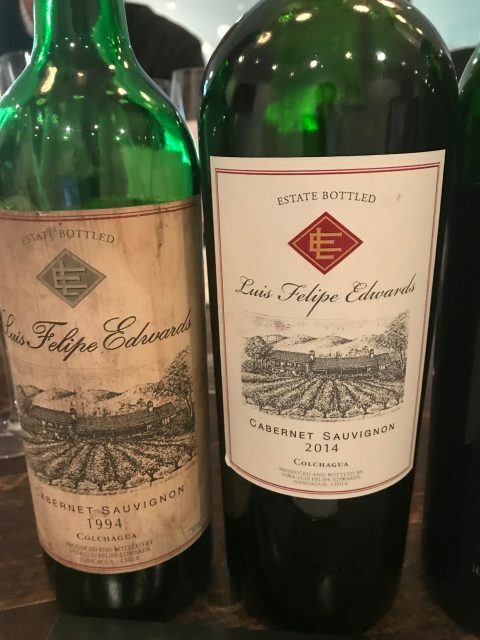 With a launch vintage for the new flagship wine being 2014, it celebrates a 20-year anniversary since the inaugural vintage release for Luis Felipe Edwards, which was a 1994 Cabernet from Colchagua. While that wine used grapes grown on the region’s more fertile valley floor situated around 250m above sea level, and was made in concrete tanks without refrigeration, the new fine wine from 2014 will hail entirely from the Puquillay Alto, where the vines are planted at 900m, and it has been aged for 24 months in French oak barriques. “Our idea is to come back 20 years later with a Cabernet from Colchagua that can stand up to the best Cabernet Sauvignons in the world, be they from Maipo Alto or the Napa Valley,” he said. Although Bizzarri admitted that he was under a certain pressure to source Cabernet grapes from the Maipo Alto to make a top end red, he said that he wanted to create a flagship wine for LFE from Colchagua, because the region represented the producer’s birthplace. He also told db that LFE was the only Chilean wine business to have vineyards in Puquillay Alto, where it owns 2000 hectares, with 135ha planted to vines today, and another 100ha available for vineyards in the future. Although the producer has yet to decide on a name for the wine, Bizzarri told db that he was considering calling it El Dueño, meaning ‘the founder’. 7,000 bottles have been made of the launch vintage, with some potentially available for the UK. In contrast he said that Asia was an “obvious market”, along with Latin America, especially Brazil, “where they drink a lot of expensive wines”. While the majority of Chile’s so called icon wines come from Maipo Alto, particularly the sub region of Puente Alto – the source of both Viñedo Chadwick and Almaviva – when Montes launched its very top expression of Cabernet called Taita in 2013, it used grapes from Colchagua, specifically its estate in Marchigüe. Indeed, Aurelio Montes has previously told db that he believes this area in Colchagua is the “perfect spot” for Cabernet in Chile.